The Observatory : what is it ? The Bibliodiversity Observatory collects studies, analysis, and measurement tools produced by the Alliance, in collaboration with its partners. It is built around issues identified as priorities by independent publishers for the 2015-2018 period. Aimed at professionals and public authorities, the Observatory’s mission includes assessing and strengthening bibliodiversity in the various regions of the world. a “measure tool” pillar, including bibliodiversity indicators (currently being developed). The International Alliance of independent publishers acknowledges and thanks publishers and their partners (international organisations, Ministries of Culture, unions, etc.…) for their contributions and commitment to the Bibliodiversity Observatory. The fourth in a series of annual reviews of select new literature in English that has appeared on the topic of publishing and the book sector in sub-Saharan Africa. Read the pre-print version here. Reprinted with permission of the author. Published in The African Book Publishing Record, Volume 44, Issue 4 (Dec 2018) : 363-389. Publishers & Books, a monthly specialized magazine, produced and published by the African Observatory of Professional Publishers (OAPE). Articles are in French and/or in English. And below the second issue (July 2018) and the third issue (August 2018). Consult here the training material produced by Denis Jacquerye, typographer (Dalton Maag Ltd), as part of the workshop on digital publishing and African languages, held in Conakry (Guinea Conakry) from 20-23 November 2017. “Publishing in African Languages : A Review of the Literature”, by Hans M. Zell, to read here ! This literature survey is an attempt to bring together some of the literature on an important and challenging, and one could well say neglected aspect of the African book sector, that of publishing in African languages, an area that greatly impacts literary production in many ways. It aims to make a small contribution to the ongoing debate about publishing of indigenous language materials, how the profile of indigenous language publishing might be enhanced – and how publishing in African languages could be conducted as a societally beneficial, sustainable, and profitable commercial activity. Following an introductory overview of current publishing in African languages – and a discussion of its many barriers to success – it lists a total of 170 records, covering the literature (in English) published since the 1970s and through to early 2018. Fully annotated and/or with abstracts, it includes books, chapters in books and edited collections, reports, journal articles, Internet documents, theses and dissertations, as well as a number of blog postings. To be published in African Research & Documentation. Journal of SCOLMA -The UK Libraries and Archives Group on Africa, no. 132, 2018. Read here the report of the workshop on « African Book Industry », organized by the Global Book Alliance (USAID) and the Association for the Development of Education in Africa (ADEA) in Abidjan (Ivory Coast) in January 2018. The workshop brought together 79 key stakeholders in the African Book Publishing Industry from 22 African countries. Read here the proceedings of the colloquium on “Children’s Literature in Africa” (in French), organised by Ganndal, Conakry, November 2017. Read the “Conclusions of the Symposium on the Challenges of the Promotion and Distribution of Books in African Languages”, organized by Ganndal publishing in Conakry (Guinea Conakry), 27-28 November 2017. Read the conclusions and proposals formulated by publishers from Francophone Africa following the workshop organised by the Alliance on “Digital tools and African languages”, held in Conakry, in November 2017, thanks the support of the Organisation internationale de la Francophonie and the partnership with the house publishing Ganndal. Among the 80 recommendations of the International Assembly of independent publishers (2012-2014), independent publishers called on public authorities and international organisations to “contribute and support the establishment of in-country digital printers and printing facilities, on demand (including in sub-Saharan African) to promote access to books”. The Alliance thus launched a feasibility study in 2016, on the establishment of digital printing facilities in sub-Saharan Africa and Madagascar. Above all, the aim was to find out whether digital printing is a relevant alternative, and on what conditions. To do so, the study surveys the needs of local professionals, and discusses the potentials and benefits as well as limitations inherent to digital printing, based on realities and practices of Francophone publishers from sub-Saharan Africa and Madagascar. Finally, it discusses the feasibility scenarios for the establishment of a digital printing hub. By focusing on the technical aspect of digital printing as well as on the development potential in a Francophone African context, this study goes beyond a feasibility study and proposes reflection points on the economic and strategic models of independent publishing. This study was supported by the International Organisation of Francophonie. A full version of the study is available to members of the Alliance. For questions or comments, please contact the team of the Alliance. Former lecturer at the University Institute of Technology « Book Trade » in Aix-en-Provence, former Director of production and digital publishing for Actes Sud, Gilles Colleu established and manages, with Jutta Hepke, Vents d’ailleurs (La Roque d’Anthéron, France), member of the International Alliance of independent publishers. He co manages the digital printing hub Yenooa and incubator Rue des éditeurs and actively participates in the Digital Lab of the Alliance (tutorials, training). A study published by African Studies Association (ASA) and African Studies Association of the UK (ASAUK), to read here ! 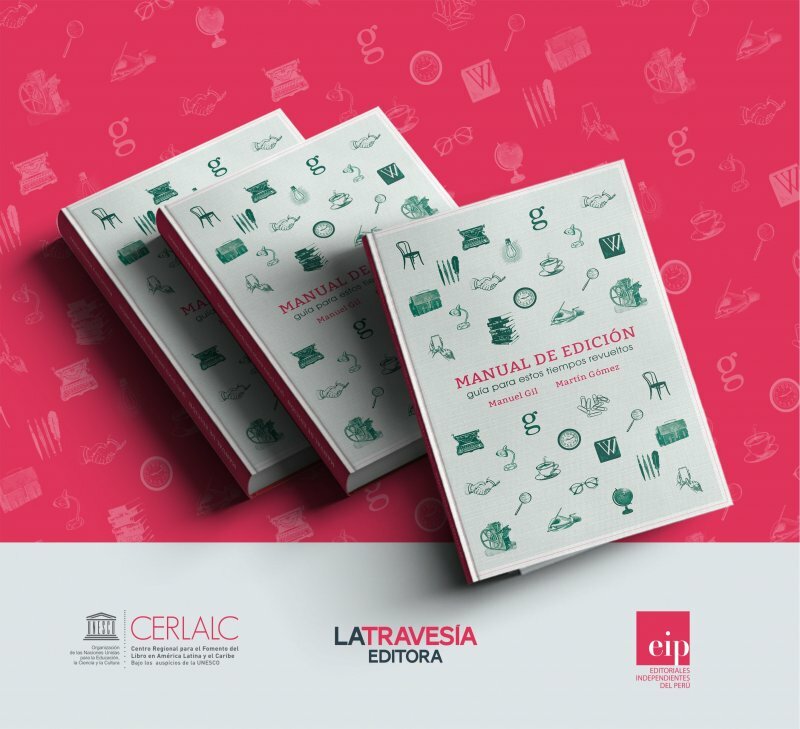 Nouvelle édition publiée en 2017 par la marca editora (Argentine), en coédition avec EDINAR (Argentine) et le CERLALC. Ouvrage de référence publié initialement par le CERLALC. Voir également ci-dessous l’édition péruvienne du Manual de edición, éditée par La Travesía Editora, maison d’édition péruvienne, membre du collectif EIP au Pérou. 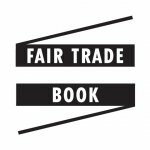 The label “Fair Trade Book” is attributed by the International Alliance of independent publishers to works published in the context of international publishing agreements that respect each other’s particularities : fair co- publishing. These fair copublishings enable the sharing of costs linked to intellectual and physical production of books and therefore ensure an economy of scale ; an exchange of professional know-how and a common experience, while respecting the publishers’ cultural contexts and identities ; and a distribution of works on a broader scale by adjusting prices for each geographic zone. 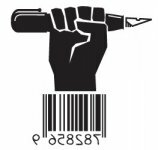 The label “Fair Trade Book” is a symbol of this solidarity amongst publishers – solidarity which also indirectly mobilises readers : if a book is sold for 20 Euros in France, it can be bought at half this price in West Africa, for instance. Over the past few years, the predation of large companies from the North on the book trade in Africa has undergone some partnership-related changes. An evolution of practices is observable amongst the large publishing companies from the North, who do not solely rely on local publishing houses’ acquisitions, but also on establishing partnerships with local publishers. How can we guarantee that these partnerships are balanced and fair ? How can we ensure that publishers from the South do not “sell their souls” through collaborations with large companies from the North ? To accompany these changes, the Alliance has drafted a handbook of practical guidelines for its members, which serves as a reminder on essential checkpoints to look out for. Should you have comments, please do not hesitate to contact us. The Alliance thanks Double ponctuation for writing the vademecum. African literature in French is today better represented and better known in Europe than in Africa, where its distribution remains hampered by many obstacles. However, there are solutions, which require the mobilisation of various stakeholders in the book industry. One solution is co-publishing, based on a joint trade agreement. The publication of « L’Ombre d’Imana » by Véronique TADJO, a groundbreaking example of pan-African co-publishing, proves that it is possible, through joint action, to create the conditions necessary for a (re)appropriation by Africa of its literature. To make this possible, the Alliance is appealing to everyone, authors, publishers and institutions alike, to join forces and promote the bibliodiversity at the heart of the francophone spirit. This appeal is endorsed by many authors and book industry professionals. Authors, publishers, booksellers, librarians and readers form what is commonly known as a “book ecosystem”, an expression that reflects the interdependence between actors in the book field. However, over the past few years, the discussions, both globally and in Europe, about re-defining the intellectual property rights, and the evolution of practices in the digital era, led to division that gradually distanced these stakeholders, with the risk of weakening the solidarity that unites them. Fortunately, new conversations have started, more specifically about the cultural rights, opening a space where this topic can be debated and addressed from a new angle with focus on issues related to the balance of rights. Starting from the idea that fundamental rights are inseparable, it seems possible to understand author rights, cultural rights and social rights as a coherent whole. The challenge is to find an approach that would stop opposing the book professionals, to re-establish coalitions towards the conquest for new rights. Due to their specific position, independent publishers could play an important role in framing this collective discussion in the book sector. A Law Degree holder, Lionel Maurel is currently a librarian at the University Paris Lumières Library. Author of the S.I.Lex blog, he specialises in Intellectual Property, Digital Law, and Cultural Law. Involved in the Commons movement, he co-founded the collective SavoirsCom1 (“Common Knowledges”) and is a member of the Strategic Orientation College of La Quadrature du Net. Read the full text ! Publishing professionals charter and code of ethics, produced by the Organisation malienne des éditeurs de livre (OMEL), Mali, 2017. This charter was produced by OMEL (Organisation malienne des éditeurs de livre) in April 2017, which authorized the Alliance to publish it on its website. “This new UNESCO Global Report ‘Re|Shaping Cultural Policies’ is an invaluable tool for the implementation of the 2005 Convention on the Protection and Promotion of the Diversity of Cultural Expressions. This Convention, now ratified by 146 Parties, including the European Union, is leading UNESCO’s efforts to strengthen capacities for the creation, production, and dissemination of cultural goods, services, and activities. States are supported in their sovereign right to implement public policies for the development of strong and dynamic cultural and creative industry sectors. UNESCO is committed to developing more effective and sustainable public policies in these areas. Octavio Kulesz, member of the Digital Lab of the Alliance is the author of Chapter 3 of the report : « Cultural Policies in the Age of Platforms ». 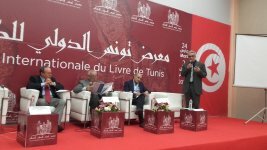 In partnership with the Tunis Book Fair and the Union of Tunisian Publishers, and thanks to the support of the Fondation de France and the French Institutes of Tunisia and Lebanon, the Alliance organised a day focusing on public book policies in the Arab world on Thursday 30 March 2017. Publishers from Algeria, Lebanon, Morocco and Tunisia presented a panorama of book public policies in their respective countries : Chilean and French publishers spoke on what is being implemented in their countries – a dialogue and exchange between professionals and public authorities, between continents, between cultures. This day was initiated in the context of the Bibliodiversity Observatory and the mapping of public book policies in Latin America and the Arab world, on-going at the Observatory. Read the conclusions of the meeting_in French. The sixth ordinary session of the Conference of Parties->https://en.unesco.org/creativity/convention/governing-bodies/conferences/6th-ordinary-session] to the Convention on the Protection and Promotion of the Diversity of Cultural Expressions (Paris, UNESCO 12 - 15 June 2017) has approved the Operational Guidelines on the Implementation of the Convention in the Digital Environment. Read the operational guidelines in English here. Read the text of the Convention. Read the Operational Guidelines of the Convention here. 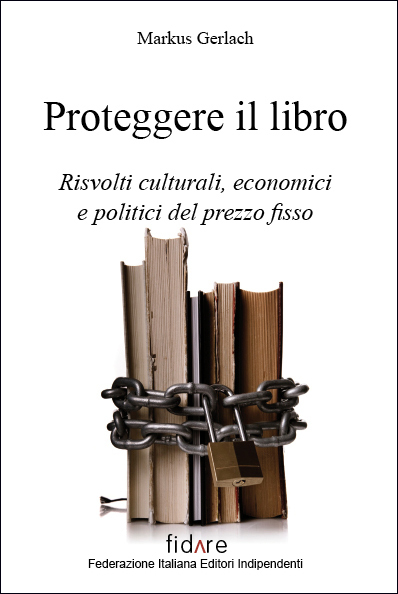 “« Protect” the Book » by Markus GERLACH, a report from the collection “Reports on the Publishing World”, is now available in Italian from the Italian Federation of Independent Publishers (FIDARE), which translated and published this new edition. This reference book has been translated into several languages (French, Spanish, Portuguese, Italian). Year of publication : 2010, 68 pages, 15 X 21 cm, 8 euros. Massively used by small publishing firms to distribute their products to bookstores, libraries, and readers, the postal service is the most popular means of circulating books throughout the world. However, the absence, suppression or questioning of special postage for books is an impediment to bibliodiversity in many countries. In Latin America, with a huge territory to cover and limited circulation, a large share of publishers ensures the delivery of their products themselves. For these publishers, preferential postage rates for shipping books are all the more vital. The International Alliance of Independent Publishers (IAIP), a network of 553 publishers worldwide, expresses its shock and dismay at the late-night abduction and detention of acclaimed photographer and human rights activist, Shahidul Alam, in Dhaka. Shahidul Alam has been a partner-colleague of the IAIP, in which context we have interacted with him on many occasions. We believe that the charges against him under Section 57 of the ICT are an attempt to intimidate him by using a draconian law to stifle his right to free speech. He has been held without due legal process, and we have received disturbing reports of brutal treatment meted out to him in detention. The right of peaceful protest, and the defence of that right, are fundamental to democracy and to upholding the rule of law. The IAIP extends its support to, and expresses solidarity with, Shahidul Alam, and reiterates its commitment to the freedom of expression in Bangladesh as well as in the rest of the world. See here the film make by New Internationalist (UK) in support with Shahidul Alam. An unprecedented study to be published in September 2019, initiated and coordinated by the Alliance ! A sociological survey conducted by Anne-Marie Voisard, Quebec researcher (MA on strategic lawsuits against public participation and legal repression of freedom of speech from the University of Montréal) ; a historical introduction by Jean-Yves Mollier, French historian. Since the creation of the Alliance, publishers – custodians of freedom of speech alongside journalists, authors, bloggers, booksellers, artists… – have been the whistleblowers on instances of censorship occurring in some countries. Over the past few years, we have noticed some new forms of attack on freedom of speech. In several contexts, pressures and limitations exercised on public speech are increasing. After the wave of freedom expected during the revolutions in the Arab world, the series of attacks in Africa, Europe, and in the Arab world, destabilised freedom of speech : a loss of sense, of bearings that brings us to question spaces of freedom, the reach of words and the power of the medium. The freedom of publishing is a “category” of freedom of speech that can take different forms through various supports. The freedom of publishing pertains to the liberty to choose an author, to select or commission manuscripts, publish them, disseminate and distribute them, and put them on the market – all these activities are at the heart of publishers’ work. The threats to the freedom of publishing are precisely what the Alliance seeks to examine in this study. In different geopolitical contexts, threatened by different forms of censorship, the Alliance’s independent publishers are committed to circulate texts and ideas, to amplify voices, even if sometimes they are in minority, to participate in building critical thinking and emancipation. It is their responsibility, both professional and civic. Study : What freedom of publishing for independent publishers ? Publishers from the Alliance condemn the banning of the book El desarme, la vía vasca d’Iñaki Egaña (copublished by Txalaparta, Gara journal, and Mediabask media), during its promotion on Basque radio-television. •	What are the different infringements of freedom of publishing that independent publishers confront in their countries ? •	How do they face these threats in their daily professional life ? •	How do the publishers resist, preserve, and defend their freedom of publishing ? How do they circumvent censorship ? •	Are publishers more vulnerable today than they used to be ? Have there been some significant changes in recent years ? •	From the point of view of the publishers, is there a limit to freedom of publishing (and freedom of expression) ? The International Alliance of independent publishers demands that Turkish authorities immediately release publishers, authors and journalists currently detained. It is necessary to guarantee freedom of speech and publishing in Turkey. The Alliance joins the Turkish Publishers Association’s condemnation of the summary closure of publishing houses and media as a clear human rights violation, and urges the Turkish authorities to rescind those summary closures. For several months, authors, bloggers, publishers and booksellers have been the victims of violent and deadly attacks in Bangladesh. The International Alliance of independent publishers, representing 400 independent publishers from 45 countries in the world, condemns these murderous attacks and assault on freedom of speech and publishing. The Alliance also reaffirms the essential role needing to be played by public authorities, in Bangladesh and throughout the world to enable the emancipation of its citizens, and to guarantee a public space conducive to dialogue and peace. Plurality and diversity of ideas constitute the foundation of democracy. It is urgent that the Bangladeshi government protects and supports actors in the book industry, thus safeguarding the foundations necessary for their work and freedom of speech. It is with great concern that the International Alliance of Independent Publishers has noted the recent censorship of a book in Spain, and the threats made against the independent publishing house Txalaparta, member of the Alliance’s Spanish-speaking network. The book in question, « El manual del torturador español » (The Spanish Torturer’s Manual) – by Xabier MAKAZAGA denounces the torture carried out by the Spanish police. The book was withdrawn from a public library (in the Basauri town council), following a request by a political party and certain Madrid newspapers to remove it from all libraries where it was made available to readers. However the practices described in this book support the accusations already made in reports by Amnesy International and by the UN Recorder on Human Rights. The campaign against this book has already been publicly denounced by public librarians. Furthermore the Basque Country Human Rights Observer (Behatokia) sent a letter of protest to Frank de la Rue, Special Recorder on Human Rights and Freedom of Expression with the Office of the United Nations High Commissioner for Human Rights, whose headquarters are in Geneva. 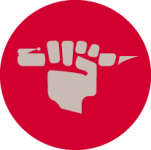 The International Alliance of independent publishers, whose objectives include defending freedom of expression and denouncing all forms of censorship, also has a duty to respond publicly when attacks or infringements are directed – for ideological reasons – against independent publishers, whose very job it is to encourage the dissemination of ideas and to contribute to forging the identity of people and their culture. One has only to examine Txalaparta’s publishing catalogue to appreciate the vast range of literary works and essays which constitute an undeniable contribution to bibliodiversity, while reflecting a clear editorial policy. This is why we independent publishers are appealing to the Spanish authorities to respect the work of independent publishers and to encourage respect for fundamental rights and democracy. 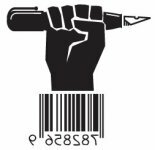 We also appeal to independent publishers, booksellers, librarians and readers to follow the development of this matter closely and to express their support to Txalaparta Publishing in order to defend and respect the right to information that is true and diverse. In view of the worrying situation in Iran and the attacks on freedom of expression, the publishers of the Alliance wish to express their solidarity with their Iranian colleagues. They demand the right to publish freely and call for increased cultural and editorial exchanges with Iran. An incredible censorship attempt is endangering the very existence of the publisher Écosociété (Quebec – Canada) ; more than 60 publishers from 30 countries have declared their undivided support for the Quebec publisher and are calling on the pinstigators of the “Noir Canada” affair to respect the rights of freedom of expression and publication. The socio-economic environment, historical approach and political context are only some of the factors to consider in appreciating, in all its complexity and diversity, the notion of an independent publisher. Independent publishers in Chile, France, Benin, Lebanon, or India work in specific contexts that have direct consequences on their activities. However, although the situation differs from one country to another, it is possible to agree on some criteria in order to define what is an independent publisher. Independent publishers develop their editorial policy freely, autonomously, and without external interference. They are not the mouthpieces for a political party, religion, institution, communication group, or company. The structure of capital and the shareholders identity also affect their independence : the takeover of publishing houses by big companies not linked to publishing and implementation of profit-driven policies often result in a loss of independence and a shift in publishing orientation. Independent publishers, as defined by the Alliance’s publishers, are originating publishers : through their often-innovative publishing choices, freedom of speech, publishing and financial risk-taking, they participate in discussions, distribution, and development of their readers’ critical thinking. In this regard, they are key players in bibliodiversity. Bibliodiversity is cultural diversity applied to the world of books. Echoing biodiversity, it refers to the critical diversity of products (books, scripts, eBooks, apps, and oral literature) made available to readers. Bibliodiversity is a complex, self-sustaining system of storytelling, writing, publishing, and other kinds of production of oral and written literature. The writers and producers are comparable to the inhabitants of an ecosystem. Bibliodiversity contributes to a thriving life of culture and a healthy eco-social system. While large publishers do contribute to publishing diversity through the quantitative importance of their production, it is not enough to guarantee bibliodiversity, which is not only measured by the number of titles available. Independent publishers, even if they consider their publishing houses’ economic balance, are above all concerned with the content of published products. Independent publishers’ books bring a different outlook and voice, as opposed to the more standardised publications offered by major groups. Independent publishers’ books and other products and their preferred diffusion channels (independent booksellers, among others) are therefore essential to preserve and strengthen plurality and the diffusion of ideas. 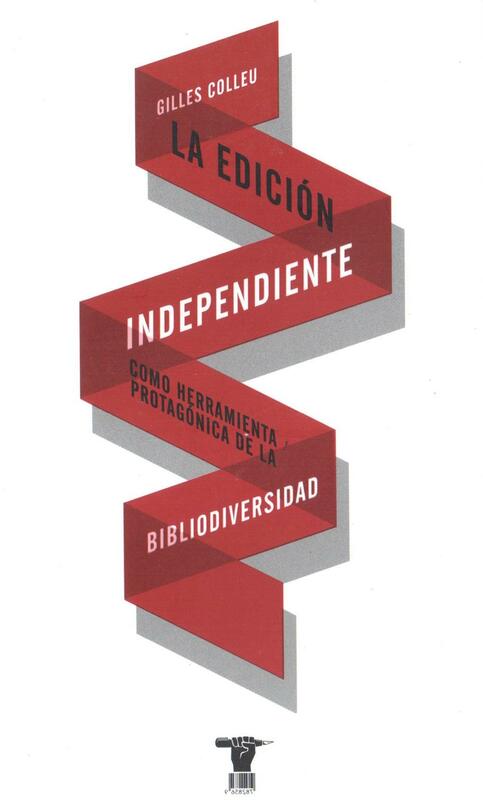 The word bibliodiversity was invented by Chilean publishers, during the creation of the “Editores independientes de Chile” collective in the late 1990s. The International Alliance of independent publishers significantly contributed to the diffusion and promotion of this notion in several languages, including through the Dakar Declaration (2003), Guadalajara Declaration (2005), Paris Declaration (2007) and Cape Town Declaration (2014). 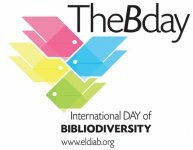 Since 2010, International Bibliodiversity Day is celebrated on 21 September. See the article « Bibliodiversity » on Wikipedia. The article also exists in French, Spanish and Portuguese. The bibliodiversity, in pictures ! Far from being a caricature, developing a reasoning based on his personal conception of publishing, Gilles Colleu explores some of the characteristics of a typical independent publisher. What do we mean by independent publisher ? Are they necessarily small concerns ? Can a major group be independent ? In a context of concentration and increasing dominance of financial considerations, how can publishers remain independent while playing their crucial role of putting fresh ideas forward ? Gilles Colleu is a former student of Jean-Marie Bouvaist and has taught alongside him on the Master course at Villetaneuse University. He is now an associate professor in the publishing professions department of the IUT in Aix-en-Provence. He founded the Vents d’ailleurs publishing house and manages it with Jutta Hepke, and for the past 20 years has acted as a consultant to publishers. In this work, he stresses his conviction that publishing needs to be rooted in a long cycle of cultivation, to build a coherent catalogue and long-lasting business. NB : pages 94 to 97 of this work feature a full, fresh definition of independent publishing, suggested by the International Alliance of Independent Publishers. These 80 recommendations are built on the principles upheld in the 2014 International Declaration of independent publishers, an important document promoting bibliodiversity, signed on September 20th 2014, by more than 400 independent publishers from 45 countries. They raise the necessary prerequisites, divided by themes, for the development, maintenance and strengthening of bibliodiversity in concerned countries. Some recommendations are accompanied by tools and projects (existing or to be developed in the context of the 2015-2016 Alliance programme of activities), enabling a practical implementation of independent publishers’ proposals. * The Amazon system, a threat to bibliodiversity ? For all book actors to take ownership of these recommendations and tools, we invite you to contact us with your comments, suggestions, ideas, and proposals that could enhance and strengthen this document. Order online here (print or digital version) ! Selling price (print version) : 10 Euros ; 15 Canadian Dollars ; 10 Swizz Francs ; 6 000 CFA Francs. Selling price (digital version, PDF) : 5 Euros ; 8 Canadian Dollars ; 5 Swizz Francs ; 3 000 CFA Francs. Self-publishing is less and less perceived as an egocentric, narcissistic act – perhaps even spiteful. Bypassing the selective function of a third party (the publisher) in favour of a direct relationship with the potential reader - whether by choice or by necessity, when one has been rejected by those “in the know”- seems on the contrary perfectly in tune with the signs of our times, which advocates for transversal relations, fewer intermediaries and direct relationships between producers and consumers, quicker channels, wariness towards experts, elites and comitology. If self-publishing is uninhibited, it is vibrant in its digital format, where entry requirements are now minor. However, is self-publishing a vector of bibliodiversity ? The notion of “independence” is also questioned by this development in terms of production. Indeed, the United States has often spoken of “indie” authors or ebooks, this figure of the independent author being now also assimilated and claimed in the French context. But what kind of independence are we talking about ? This issue of Bibliodiversity Journal is coordinated by Luc Pinhas (University of Paris 13). It will include a synthesis of the Alliance’s public book policies mapping in Latin America and sub-Saharan Africa. For more information, read the call for papers. This issue of Bibliodiversity’ journal is coordinated by Nathalie Carré (National Institute for Oriental Languages and Civilisations, INALCO, France) and Raphaël Thierry (University of Mannheim, Germany). Read the call for papers for the issue. Read issue 4 of the journal Bibliodiversity. This issue is dedicated to Andre Schiffrin, member of the Scientific Committee of the journal Bibliodiversity. Download the format epub here !